In this article, we shall discuss “How to use Guest Checkout and Download” and “How Guest Checkout and Download can help you to increase sales”. Probably you already know, to launch a digital store for selling digital products WordPress Download Manager and WordPress Digital Store Solution – Premium Package add-on is the best choice for you, not just because, it gives you all the options you need to sell your digital products, but also, you give your customers best comfort in purchase. Most of the times customers think signup or filling long form is too much of work during the checkout process, if it is not very necessary. In such cases, the customers often want to purchase an item without registration and login. There comes the Guest Checkout and Download feature. Awesome, you got more sales by activating guest checkout, what about the downloads, do you want your customers to download the purchased items without registration and login? If you don’t need to collect customer info to keep them in product update loop, you can allow them to download item as a guest in the way they purchased. But, if you wanted a quick/confusion-less purchase with a guest checkout, but still need to keep your customer in product update loop and need to give them access to other customer-only areas in your site, you can’t activate guest download, LOL. So, after purchase user will get an email with signup link and as soon as they signup the order will be linked to their account automatically. But, if you don’t need any of these, just enable the guest download and guest users will be able to download their items from the guest download page entering their order confirmation email and order ID. I think, you already have installed and activated WordPress Download Manager and WordPress Digital Store Solution – Premium Package add-on. Now, please go to the Admin Menu >> Downloads >> Settings >> Premium Package. In the front end section from there, you can check the Enable Guest Checkout and Enable Guest Download. Now, you should set up a guest order download page so that the user can download their item as a guest later. 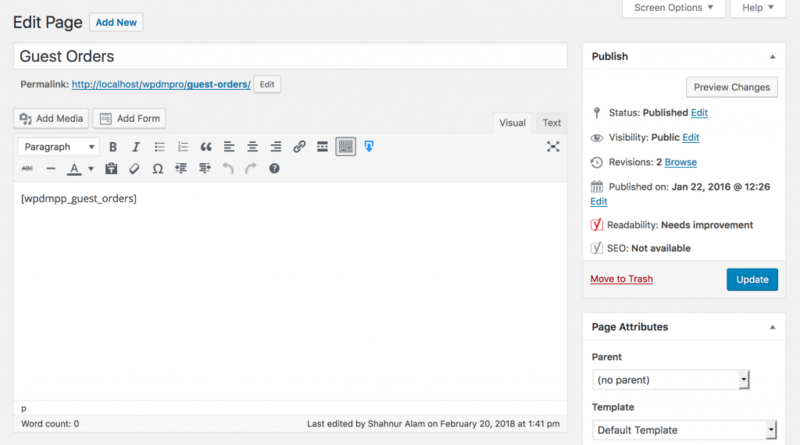 you have to use the shortcode [wpdm_guest_orders] in the page and publish that page. 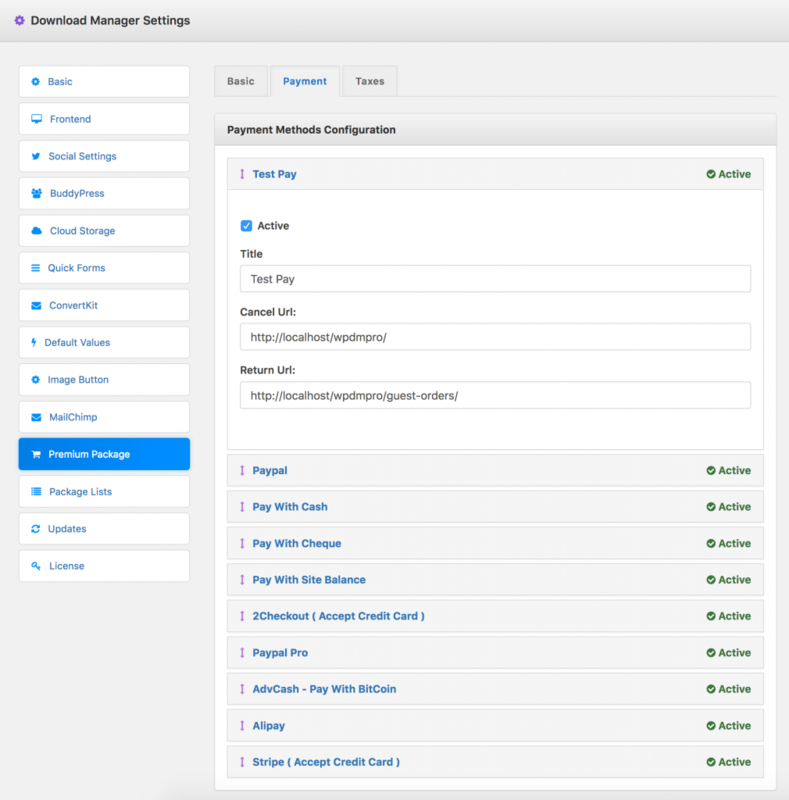 Later you need to select this page from Premium Package frontend settings. So it will be used as default download page. 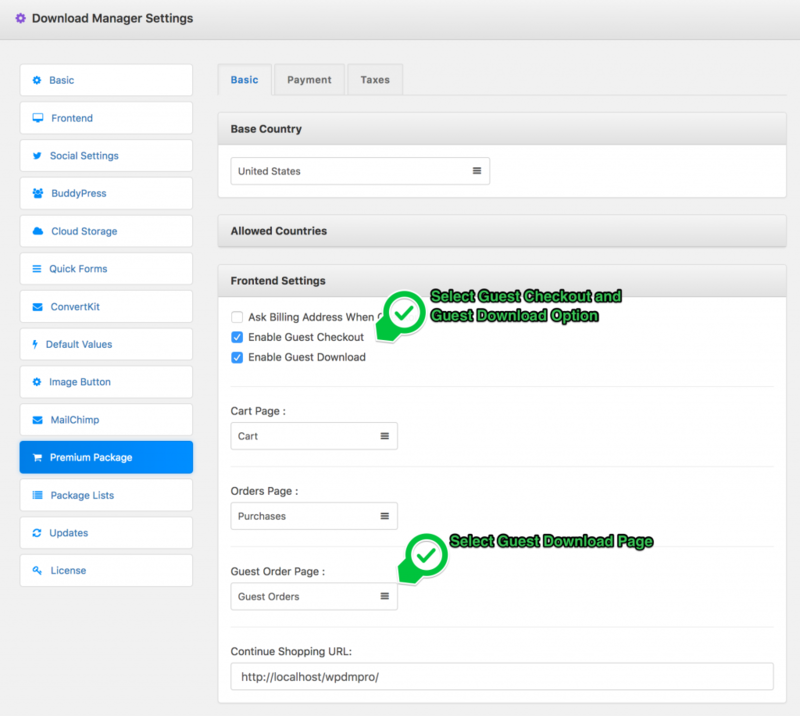 You have to put the guest download page URL to return URL from the payment gateway settings. So, the user will redirect to that page after order. For this go to Payment tab from the premium package settings. 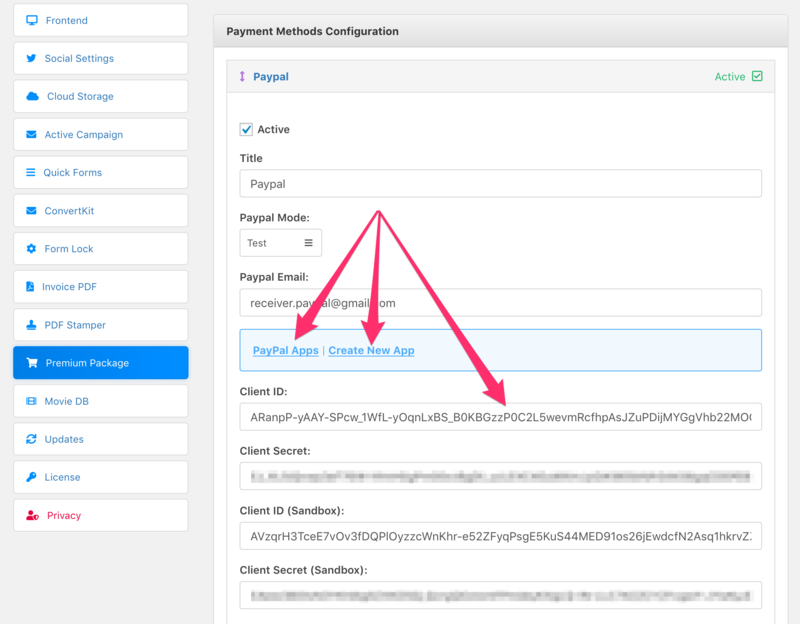 Then put the page URL in the Return URL of specific payment method that you want to use. 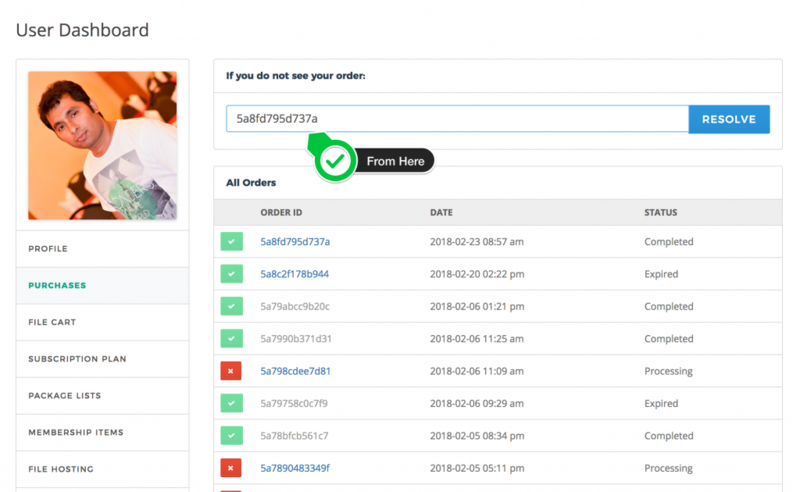 Now, guest user can easily make order from your premium products and as soon as they complete the payment, they will be redirected to the guest download page to download their purchased items. 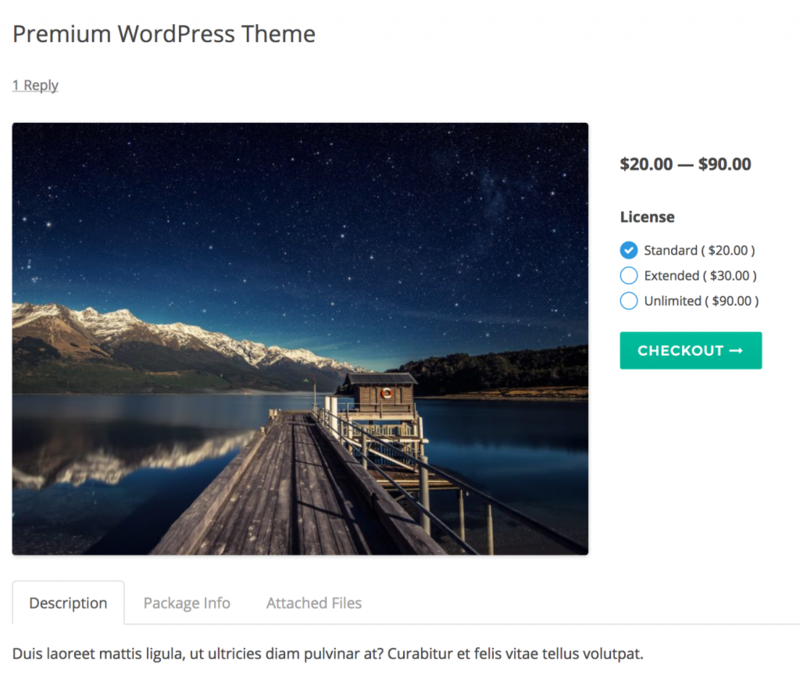 If you have already created a package with the download manager and put a price on pricing and discount options, then any guest user can now order and download the package without the need to signup and login. 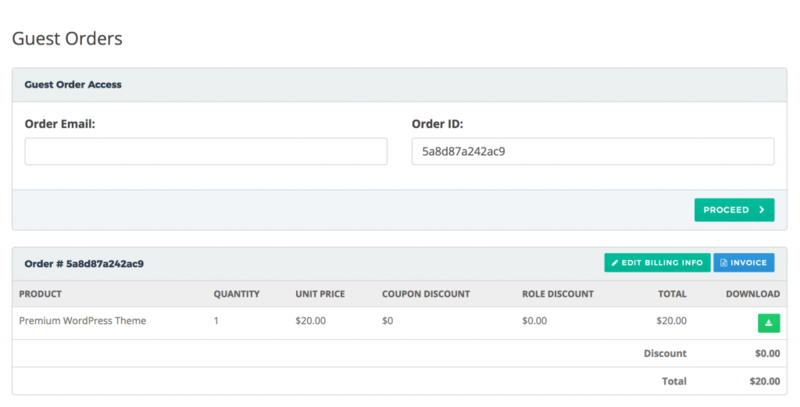 After adding the package as a guest, when the guest user clicks on checkout so they will be redirected to the checkout page. Here they need to insert Email and Name, so the order ID should be emailed to them which user can use later for download. After the payment user will be redirected to the guest download page. Where they can download the package. The guest can download the package only from the guest download page. Here, they have to provide the order email and Order ID. 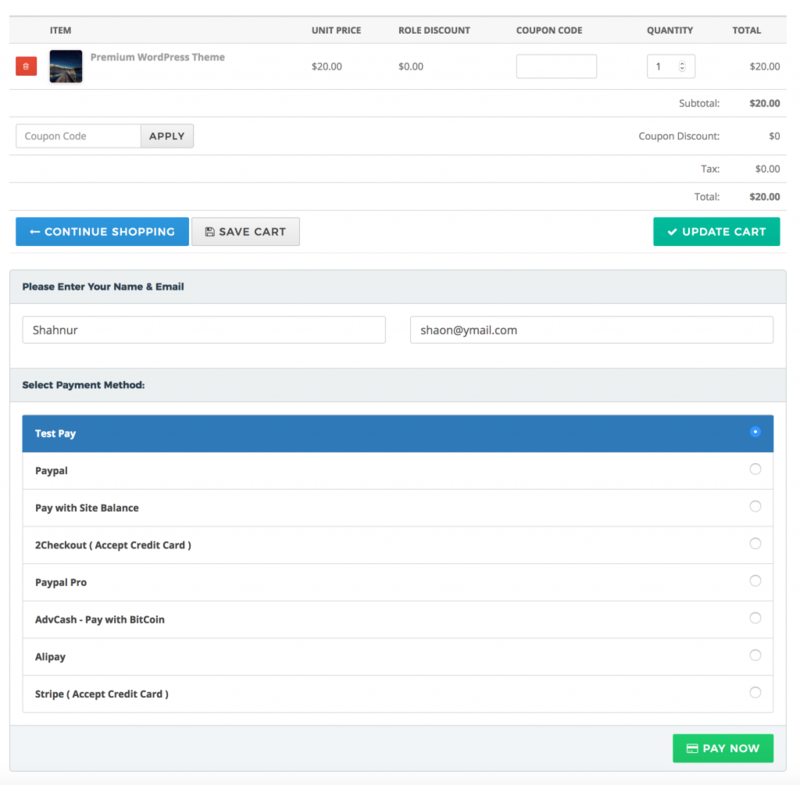 Order ID will be stored in the session and auto-filled when they are redirected to this page from payment gateway. Customers also will receive an email to their order confirmation email address with order ID for future use/reference. After fill up the email address and the order ID click on proceed. The download should appear below where the user can download the package. You can add the guest downloads page in the menu item, so the guest user can easily find it to download items later. I think, you already understood, why the guest checkout and download feature will decrease cart abandonment rate and increase your sales. You should try to use it in your store too! However, if still you are not clear or have any query related to the guest checkout and download feature, we will be more than happy your answer you. Just post your query it in the comments :). Hello, is it possible to create an URL that automatically adds the producto to the cart? I have a funnel strategy and I want to put the add to cart button but the funnel is hosted in another service. I want the user to click a button and go directly to the checkout page. Yes, it is possible. There are 2 approaches. You can add only single product to the cart using this cart URL. 2 ) Saved Cart – Add the product(s) to the cart and then generate the saved cart URL from the cart page. You can share this URL with anyone to re-generate the cart without any extra work. Please create a support ticket in the forum if you need further assistance on this. Cool. Thanks! I’ll test it and if anything I’ll send a ticket. I created the guest checkout as it is documented here. and the customer is forced to pay again instead if downloading. When I manualy change the Order status to “COMPLETED” it worked for the download. How can I change this to automatic? I took a bit to understand and find. But I did all this.